According to the regulation which is issued on 23 December 2018 by the Supreme Council of Radio & Television there will be a tender on digital radio, FM & DVB-T2 in Turkey. 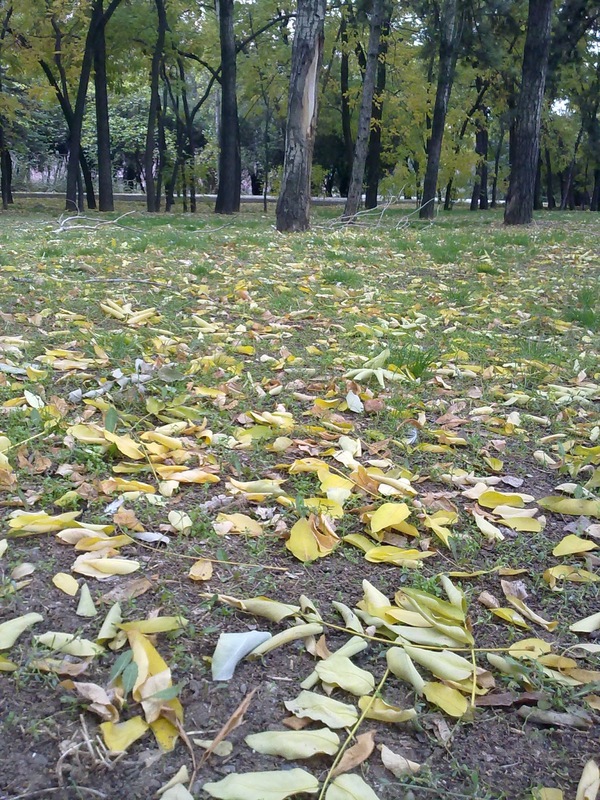 In this post, I will concentrate on digital radio. 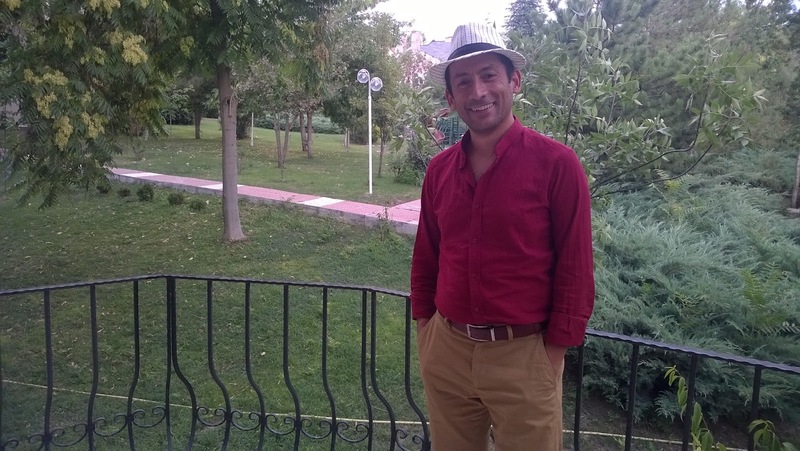 "Sayısal radyo yayınları, ulusal ve ITU-R standartları ve teknik parametrelere uygun olarak Üst Kurulca belirlenecek teknik parametre ve standartlara göre yapılır." "The digital radio broadcast will be made according to the technical parameters & standards stated by the Supreme Council, which will be decided accordingly to the national and ITU-R standards & technical parameters." Each of these has own advantages & problems. 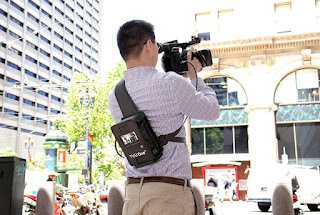 You may argue that 5G is not a system for broadcast, actually it may also be a broadcast platform for both TV & radio. DAB+ has many advantages starting with the market in Europe & consumer devices. DRM+ has become an option after the decision of Russia. DVB-T2 Lite shows that it is an option with the work of Mr. Kenneth Wenzel in Denmark. It was 2013, when RTUK (The Supreme Council of Radio & Television in Turkey) held a frequency allocation tender for digital terrestrial television. This tender was canceled with court decisions due to some objections. It seems that in 2019, there will be a new tender for frequencies, this time not only for digital terrestrial television but also for analogue & digital radio. The details of the tender is not yet announced. On 23 December 2018, RTÜK issued a regulation which describes the subject. I had lots to do and actually still too busy, but I tried my best to find time for this introduction. IBC, is a good event to see friends all over the world. 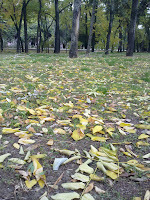 It is also a good event, with the conference. But, the fair was not that attractive this year. There was no "killer application" this year. 4K is not going that fast, hence 8K is still too early to announce. SDI to IP conversion is not going as fast as expected. So there was no interesting. Thanks for your requests regarding IBC 2018. Unfortunately my schedule is full. Hope to meet you at IBC 2019. I will try to find time for a quick visit to some of the stands, but as the conference is also full of interesting sessions, it seems that I will have really limited time. Merci pour vos demandes concernant IBC 2018. Malheureusement, mon emploi du temps est complet. Au plaisir de vous rencontrer à l'IBC 2019. Je vais essayer de trouver le temps pour une visite rapide à certains des stands, mais comme la conférence est aussi pleine de sessions intéressantes, il me semble que j'aurai vraiment un temps limité. Hope best fair ever for all attendees. Zero Density, established in 2014 as an international technology company to develop creative products for the industries such as broadcasting, augmented reality, live events, cinema and e-sports, is shaping the future of media. Offering the next level of virtual production with real time visual effects Zero Density provides Unreal Engine native platform, “Reality”. It is also the most photorealistic real-time 3D Virtual Studio and Augmented Reality platform in the industry. Attracting the attention of the leader companies in global broadcasting and film industry at a short notice, industry-leader Zero Density’s focus is on the new strategies for reaching to Hollywood film industry, in addition to broadcasting and takes solid steps to fulfill this goal with its global coverage area that extends from Canada to China, Australia to the USA, France to UAE, Belgium to Russia and beyond. In 2018 Zero Density has restructured its organization with a focus on Americas, Europe, UK, CIS, APAC and MENA regions by establishing a global sales channel and formulated a new strategy based on international customer care establishing close relation, fast growth and continuously increasing number of partners. We are excited to witness the rapidly growing global footprint since the first release in 2016. Zero Density constructed its organizational structure in line with its strategy and vision in 2018. As a first step of rapid international expansion strategy, Zero Density Europe launches in June. For this important step, Brussels, capital of Europe is positioned as the center of the subsidiary. ZD Europe organization is responsible for business development, marketing, establishment of strong partner channel in Europe & CIS Region. 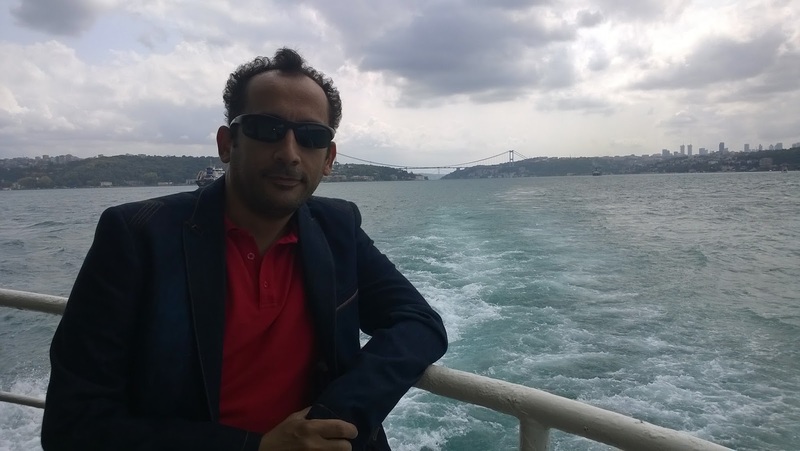 The headquarter in Izmir will help to manage the technical support, back office, and other logistic points. Among the valuable names joining Zero Density European team with their experience and knowledge in the broadcasting market, are our Business Development Manager Guillaume Godet (guillaume.godet@zerodensity.tv), Sales Manager Michel Loiseau (michel.loiseau@zerodensity.tv) and CIS Regional Manager Yuri Meydar (yuri.meydar@zerodensity.tv). Everybody at Zero Density is enthusiastic to start this new adventure, and we would like to contact you personally to explain our commitments and have a conversation about our common projects. 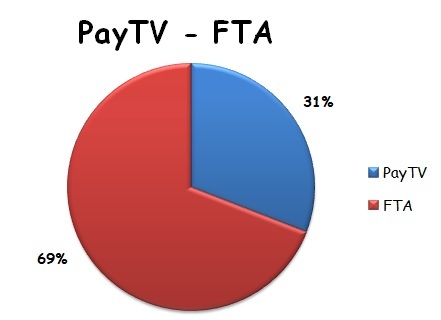 According to the data in the report of the Supreme Council of ICT, the market share of payTV is just 31%. There are about 6,1M subscribers to payTV services in Turkey, where total number of households is assumed to be 20M. When we look at the distribution of technology; the payTV market is dominated by satellite, number of subscribers of CableTV is constant, IPTV is increasing but not as fast as expected. The OTT numbers are not available. I guess OTT is the main reason of slow progress in IPTV. What will 5G bring to broadcasting? To be honest, I do not know the answer of the question: What will 5G bring to broadcasting? But, with the help of some documents, I will try to comment on this. It would be great if you also can share your opinions. Multicast is point to many points connection. In broadcast connections, quality does not depend on the number of receiving units. So for serving same data to crowded receipents some kind of broadcast network should be used. 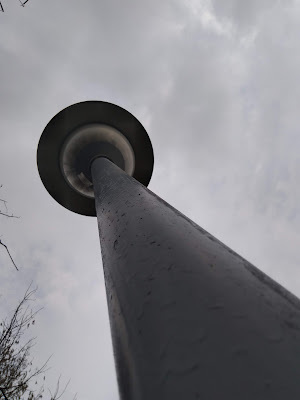 Mobile networks were providing unicast connections, i.e. from the base station to the receiver. Multimedia Broadcast Multicast Service (MBMS) is a broadcast/multicast service in mobile networks, which is available since 2009. But it has not been commonly used. An "evolved" version of MBMS, eMBMS, came with LTE, 4G and a new version of it is expected with 5G in 2020s. European Broadcasting Union (EBU) has published a BPN in February 2018. Although the BPN are for members only, EBU has shared an executive summary of this important BPN publicly. The standards of 5G is not yet completed, hence public broadcasters are trying to influence Third Generation Partnership Project (3GPP). 5G is said to be a GAME CHANGER by the European Commision. I got the following passage from the EC document, namely "5G for Europe: An Action Plan". Twenty-four years after the successful introduction of the 2G (GSM) mobile networks in Europe, another revolution is in sight with a new generation of network technologies, known as 5G, opening prospects for new digital economic and business models. 5G is not fully standardised yet but its key specifications and technological building blocks are already being developed and tested. 5G is seen as a game changer, enabling industrial transformations1 through wireless broadband services provided at gigabit speeds 2 , the support of new types of applications connecting devices and objects (the Internet of Things), and versatility by way of software virtualisation allowing innovative business models across multiple sectors (e.g. transport, health, manufacturing, logistics, energy, media and entertainment). While these transformations have already started on the basis of existing networks, they will need 5G if they are to reach their full potential in the coming years. It is not a surprise that a conference topic was What will 5G mean for media at the IBC 2017. For those who missed this conference may be interested in the papers on 5G and OTT at IBC 2017. There will be sessions about 5G at the IBC 2018 Conference during 13 - 17 September 2018 in Amsterdam. There are many trials of using 5G in media industry. FOX has recently announced a cowork with Ericsson, Intel and AT&T to deliver 4K over 5G at U.S. OPEN 2018 on 14-17 June 2018. British Broadcasting Corporation (BBC) has R&D projects regarding the usage of 5G. IRT is part of 5G Today project in Germany. So, finally 5G seems to be a real GAME CHANGER. Do not miss IBC Conference 2018, to follow the latest developments. According to the data in the report of the Supreme Council of ICT, the market share of payTV is just 30%. 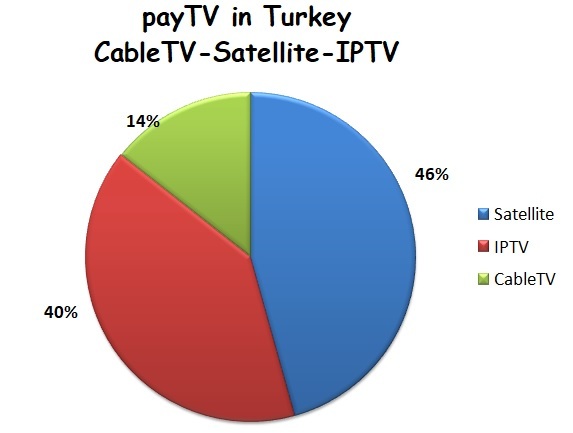 There are about 6M subscribers to payTV services in Turkey, where total number of households is assumed to be 20M. 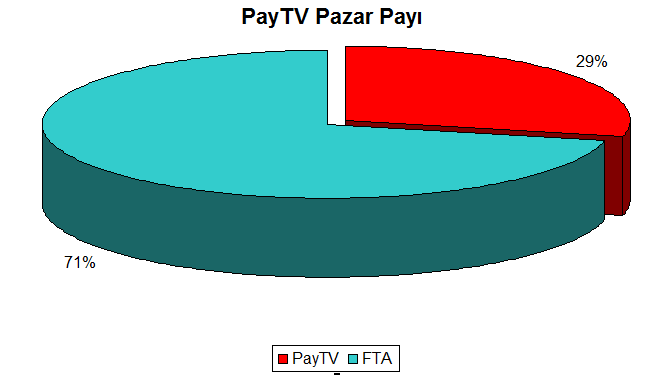 PayTV subscribers are mainly taking service via satellite, 69%. Cable has a static number of subscribers, which is around 1,2M which makes 20% of payTV and IPTV has more to do, with just 11% of market share. PayTV operators should concentrate on increasing the market itself, before their share in the market. But as nearly all TV channels are FTA in Turkey, it is not a simple task. 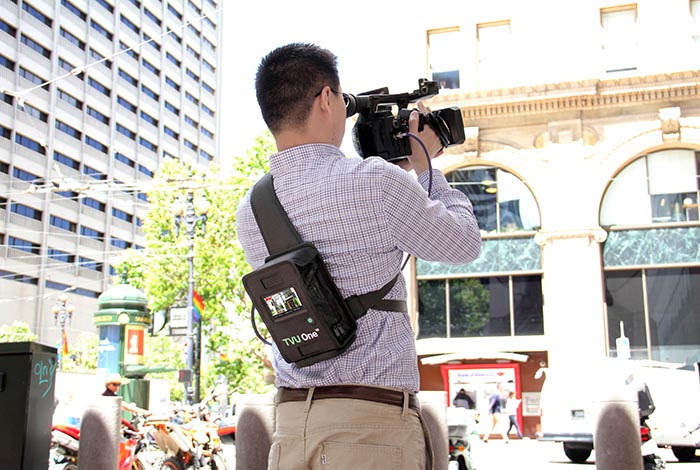 MOUNTAIN VIEW, CA – July 13, 2016 – TVU Networks, the global technology leader in live IP video solutions, will again attend and showcase its popular video-over-IP technology at next month’s Texas Association of Broadcasters (TAB) 63rdAnnual Convention & Trade Show in Booth 41. Taking place August 10-11 at the Renaissance Austin Hotel, TAB is the largest state broadcast association convention in the nation.